Witness the latest shameful piece of destruction in the Mourne Mountains. 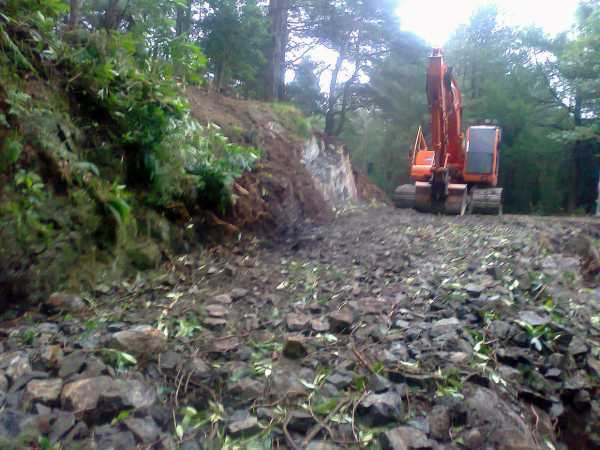 At the second bridge up into Donard Wood, they have torn out a piece of woodland and carved out a piece of the rock face. We all know it as an entry into the wood by high steps in the rock. You wouldn’t believe it if you didn’t see it for yourself. Apologies for the shot – hard to get a good one when you’re shaking with rage.